Chanty lets you turn the task to a workflow. 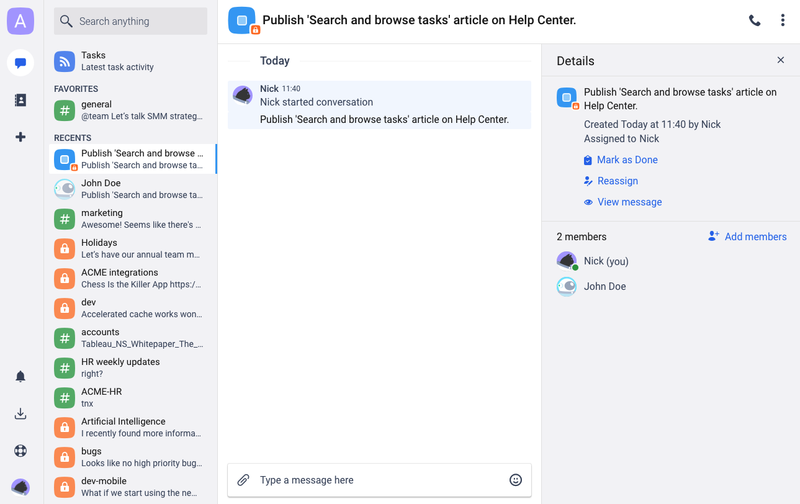 Choose the Discuss option and you will switch to the dedicated place, away from conversation noise, offtopic and unrelated people to the task. 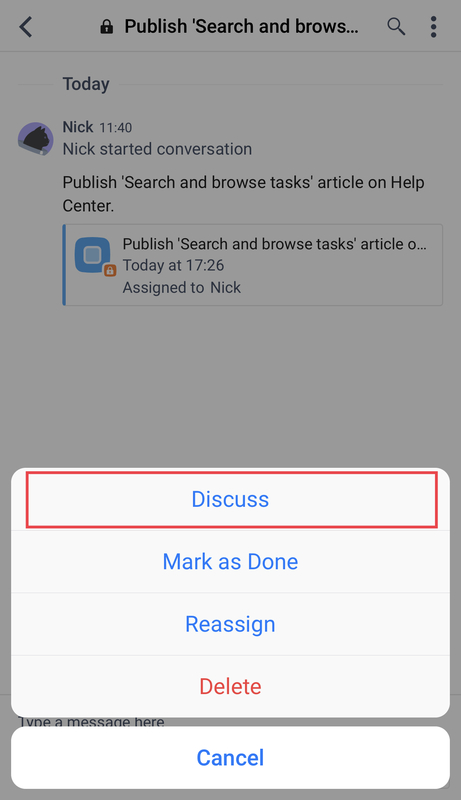 Any task discussion has a set of options that help you. Tap the task and choose the Discuss option from the list.